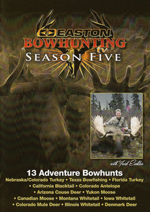 Originally broadcast on national and international outdoor TV, this new DVD has 13 thrilling episodes with Fred Eichler, one of the most accomplished hunters today. 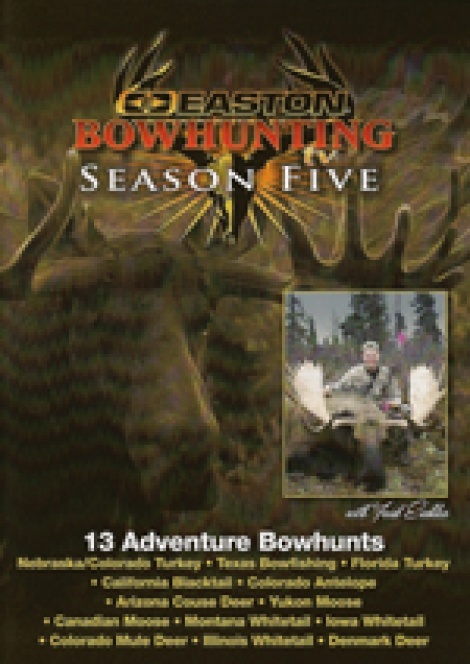 He travels the North American wilderness for such harvests as: Nebraska and Colorado Turkey, Texas Bowfishing, Florida Turkey, California Blacktail, Colorado Antelope, Arizona Couse Deer, Yukon and Canadian Moose, Montana Whitetail, Iowa Whitetail, Colorado Mule Deer, Illinois Whitetail and Denmark Deer. 13 Episodes.